Moral envy explains the success of Republicans in stirring up public feeling against school teachers, he wrote, and why they target teachers and not school administrators, many (not all) of whom hold BS jobs. Actually, as Graeber goes on to write, there is a basis for moral envy. Many of the jobs that involve working for a righteous cause—disability rights advocate or arts administrator, for example—involve educational credentials that are hard for working-class people to get, and then the willingness to work for little or no pay, which few working-class families can afford. The morally prestigious jobs are monopolized by what Chris Hedges and Thomas Frank call the liberal professional class. Graeber said it is literally more thinkable that the daughter of a truck driver in Nebraska could become a millionaire or marry one than that she could become an international human rights lawyer. The main vocation with moral meaning that is open to working class people is the military, he said. Enlisting in “the service” is a way of being of public service. That’s why the troops are held in such high regard. Given their chances of being killed, maimed or traumatized, there is no reason to envy them. I think Graeber exaggerates. Many labor leaders, civil rights leaders and community organizers come from poor backgrounds and have had hard struggles in life. But I agree that college-educated liberals have the first shot at a lot of morally prestigious jobs. For example, as Graeber pointed out, you have to have a college degree to enlist in the Peace Corps. Graeber said moral envy is also the reason why, during the bailout of General Motors, so many people resented the auto workers’ good pay and benefit, but didn’t resent the auto executives who caused the problem in the first place. The idea was: You get to have the satisfaction of making cars. You shouldn’t expect job security and good pay in addition. I don’t think this is so. I think the pay and benefits of auto workers, and members of other industrial unions, are resented by non-union workers just out of envy, not specifically moral envy. They were resented in particular by some of us college-educated professionals. Back in the 1960s, there was an editor of my old newspaper who used to complain about how members of the United Steelworkers made more money than we did. This never bothered me. I always figured that if I really wanted to make as much money as a steel worker, I could drive to Pittsburgh and become one. But this is all part of the criss-crossing pattern of resentments that keeps working people divided. Punching the Clock by David Graeber for Harper’s Magazine. ‘I had to guard an empty room’: the rise of the pointless job by David Graeber for The Guardian. 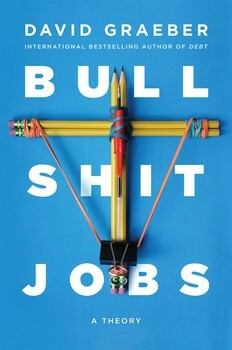 Is Your Job BS? 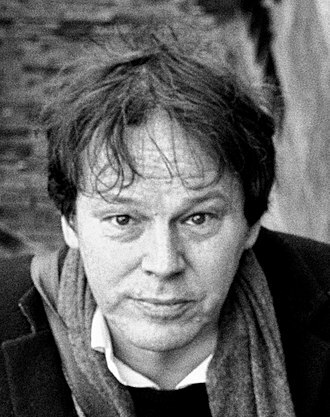 David Graeber on Capitalism’s Endless Busywork, an interview for In These Times. Are You in a BS Job? In Academe, You’re Hardly Alone by David Graeber for the Chronicle of Higher Education. 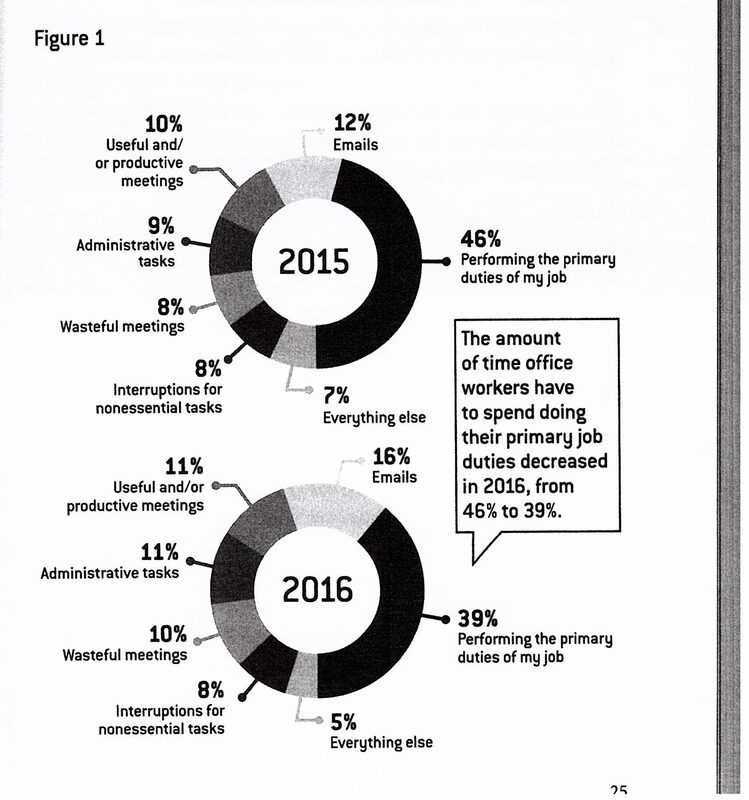 Survey of US office workers from the book. Click to enlarge. This entry was posted on May 25, 2018 at 2:00 pm and is filed under Books, Business, Capitalism, Government, Jobs, Labor. You can follow any responses to this entry through the RSS 2.0 feed. You can leave a response, or trackback from your own site. That sounds like a great book. I’m going to have to check that out.